Way back in April — three months ago! — I was in Davis, CA, at the UC Davis Arboretum. The reason for my visit was PacHort board meeting, but we managed to get out in the afternoon and take a tour of the Arboretum with Warren Roberts, plantsman extraordinaire and Superintendent Emeritus of the UC Davis Arboretum. My memory wants me to say this Callistemon rugulosus 'Violaceus' is a UC Davis introduction, but I don't think that's acutally the case.. Such is the problem with not taking notes during a tour and waiting so long to post. Life got in the way and I regret that. Russelia equisetiformis, which I so wish I could plant in my garden. 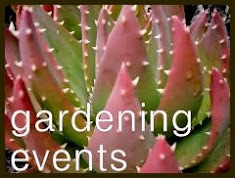 As you saw in the intro photo the Arboretum was having a plant sale, but it didn't start until the next day. I missed it! Yes, it was painful. Al those carts, ready to shop! And that tree...an Arbutus menziesii, aka Pacific madrone? Flowers covered their Acca sellowiana (pineapple guava), mine didn't bloom until June. 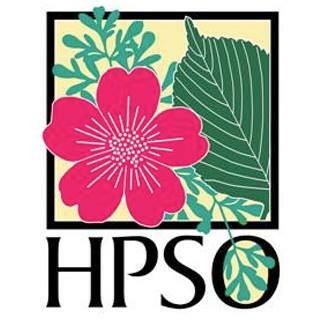 It's not just an Arboretum, but is also a teaching nursery. 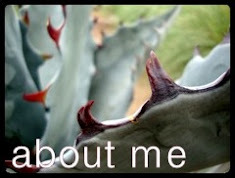 Did I mention Davis is the Agave americana var. medio-picta 'Alba' center of the universe? I think I did, in a previous Davis post, but it's worth mentioning again. These tiles have quite the history. They've been to the U.S. Botanic Garden in Washington D.C., and now they're in their permanent home at the Arboretum. Read their full story here. They're the result of the UC Davis Art/Science Fusion Program and illustrate the diversity of plants and insects in California. There's Warren himself, entertaining us with stories. We could have listened all day! We eventually made our way to the Ruth Risdon Storer Garden, named after Dr. Ruth Storer, Yolo County’s first pediatrician and an avid gardener. 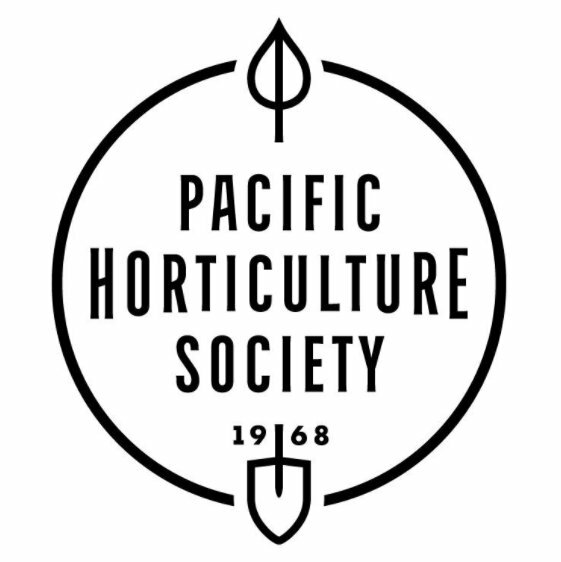 The garden features flowering perennials and small shrubs that are especially well suited to Central California Valley gardens. 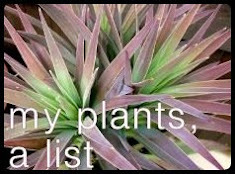 It's designed for year round color with low maintenance and water use. Roses and their companion plants figure large. It's not all pretty flowers though! The yellow flower is Hunnemannia fumariifolia, Mexican Tulip Poppy. Hopefully Lorene Edwards Forkner, PacHort magazine editor, will forgive me for sharing this sweet image of her enjoying a rose, up close and personal. I wonder if I should tell someone that's the wrong sign? That's not an Agave polyacantha, I'd call it an A. ovatifolia. Unless I got my photos horribly confused (always a possibility), this is Leucophyllum frutescens. Later we wandered over to the open space I think of as the meadow. It was near a parking lot, but the plantings definitely outshine the cars. I've got two more UC Davis posts to share, hopefully next week. It really is an amazing plant-centric campus! A glorious garden! Look at all those blooms in April! Russelia equisetiformis could be in your garden in the summer and in the basement or shade pavilion greenhouse in the winter, right? You go to all the interesting places, you lucky thing! I love that photo of Lorene. Her body language says everything, not just about her, but about gardeners and their joy at the wonders of nature. I am lucky! And lucky to be traveling to an interesting place with you next month! When you are near a rose, you are not a gardener if you don't lean right in and take a big sniff! And yes you should suggest that perhaps that plant tag is wrong. It's a teaching garden and they would want to know. And if by chance you are wrong, they will have the fun of correcting you! Thanks for the encouragement to do so. The Agave (?) with the orange bloom spikes (picture 2) is amazing. I could tempted to bring one of those dangerous plant into my garden for the reward of that bloom. Speaking of Echium wildpretii, how are yours coming along? Those are Aloes and yes, they're fabulous! 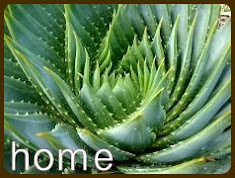 Most Aloes aren't so dangerous as their leaves break rather easily. Sadly most also aren't hardy in the PNW. My Echium are doing well. None have bloomed, but if they live through winter than next year should be blooming amazing! I never made it to the UCD Arboretum this spring, and I'm a member so it's doubly remiss. I will make it to the fall plant sale though ! Something for everyone! I'm glad you weren't stuck in meetings full-time, although I'm sure you'd have escaped to explore the grounds under any circumstances. Indeed. In fact next week's posts were explorations with Gerhard after the meetings wrapped. "It's not all pretty flowers though!" - but of course. 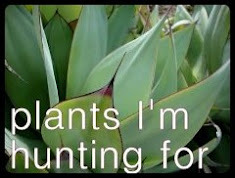 The campus is full of amazing plants David, and yes...uhm, what are you waiting for? Didn't know it was that nice. A must-visit now, just not in summer. What a superb garden - hope I get a chance to visit it someday. And that Echium wildpretii is amazing! Indeed. I'm so hopeful one of the ones I've got going will live through the winter so I can have blooms in my garden next year (they're biennial). So great to meet you at the OHSU ladies’ tour of your garden! So inpsiring. Have you visited the arboretum at UC Santa Cruz? Love their plants! Nice to meet you too! Your group was a fun one. I have not been to UC Santa Cruz, it's on my list though...someday! 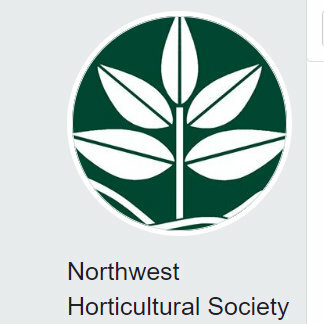 I can't wait for the first fall plant sale! 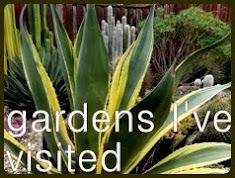 I'm so glad you got to see the Ruth Risdon Storer Valley-Wise Garden! Arbutus menziesii is Arbutus 'Marina', becoming a very popular street tree here. Warren Roberts is a true original. He came to my garden once and even wrote down the names of a few plants I had. I was thrilled, considering he's a walking encyclopedia of plants!